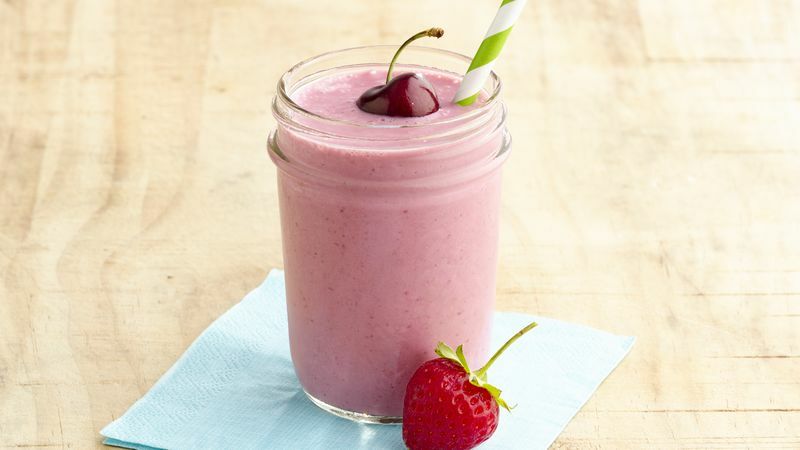 Try a berry flavored yogurt to intensify the berry flavor. To easily and safely clean your blender after making smoothies--fill container halfway with water, and pulse several times to clean off blades before washing. Garnish smoothies with fresh cherries or strawberries.